New Delhi, Aug 21: The government has launched an all-out effort to address the major problem of state-run banks’ non-performing assets (NPAs), or bad debts, Finance Minister Arun Jaitley said on Friday. “And I don’t have a doubt that over the next few quarters, the banks will be able to address these challenges,” he added. Jaitley said the government plans to infuse adequate capital into public sector banks (PSBs) over the next four years, which will give them “a lot of financial strength” to deal with their bad loans issues. Gross NPAs of PSBs have gone up to Rs.260,531 crore as in December 2014. In the fourth quarter (January-March 2015), NPAs had come down from 5.64 to 5.2 percent. In this connection, taking the first step towards a holding company structure for public sector banks (PSBs), the government last week announced the setting up of a Banks Board Bureau (BBB). It will recommend appointment of directors in PSBs and advise on ways of raising funds and dealing with issues of stressed assets. “In the last few years, the public sector banks have faced challenging situation, partly on account of slowdown in some sectors. “To resolve the current problem, you need to deal with the banks as well as the sectors themselves,” Jaitley said at a press conference here to announce the bureau. Financial services secretary Hasmukh Adhia said banks have a requirement for Rs.180,000 crore over the next four years to meet their capital requirements. “Of this, we will provide Rs.70,000 crore. They can raise Rs.1.1 lakh crore from the market,” the secretary said. Last month, the government presented to parliament a supplementary demand for grants to provide for Rs.12,000 crore towards recapitalisation of PSBs. Adhia said the government plans to provide Rs.25,000 crore capital each in the current and next fiscal year, while Rs.20,000 crore would be provided during 2017-18 and 2018-19. The Rs.25,000 crore this year would be provided in three tranches. Around 40 percent of the amount would be given to those banks which require support, and all PSBs would be brought to the level of at least 7.5 percent core capital by fiscal 2016. In the second tranche, 40 percent of capital would be allocated to the State Bank of India, the Bank of Baroda, the Bank of India, the Punjab National Bank, Canara Bank and the IDBI Bank. The remaining portion of 20 percent would be allocated to the banks based on their performance during the three quarters in the current year. 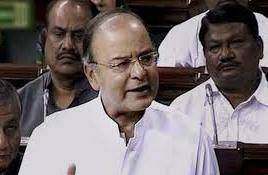 Jaitley has allocated Rs.7,940 crore in the budget for recapitalisation of public sector banks in this fiscal. The union cabinet had in December allowed state-run banks to raise up to Rs.160,000 crore from the capital markets by diluting the government stake in phases to 52 percent. As per an estimate, public sector banks would need additional capital of up to Rs.240,000 crore by 2018 to meet the Basel III capital adequacy norms, put in place to guard against a repeat of the situation following the 2008 US financial crisis.